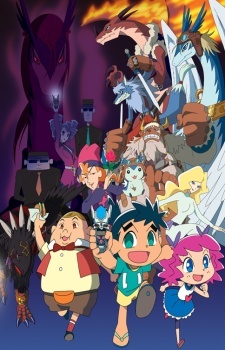 When a crafty toy company "Wiz" also known in this show as Dark Wiz Company, finds crystals with the faint DNA of monsters known as "Legendz" are found and made into a battle game. A young boy named Shu receives one these crystals known as "soul figures" from his father after a baseball game. Legendz rapidly became popular and more and more children played it. Wiz employeys start to track down Shu for his special soul figure, for his soul figure can revive real legendz not just the little kiddy digital images! How will Shu fight his way to victory and claim this soul figure as his own? Watch Legendz Episodes Online at Animegg.org. Legendz is available in High Definition only through Animegg.org. Choose an episode below and start watching Legendz in Subbed & Dubbed HD now.